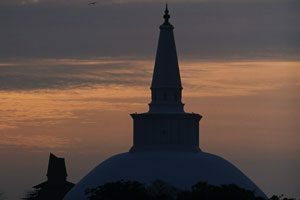 Discover a UNESCO World Heritage Site, at Anuradhapura which boasts a vast array of architectural and archeological wonders that dates back to 10th Century BC. A Kingdom which lasted for 1300 years, Anuradhapura was also the first Kingdom of Sri Lanka and the sacred city today holds together a range of Stupas, Dagabos, ancient ponds and pools are some to be named out of which Sri Maha Bodhi Tree is a highlight that depicts the folklore where Sanghamitta, the founder of an order of Buddhist nuns which brought in the sapling from sacred branch which was brought into Sri Lanka at that time is today one of the oldest recorded tree in the world. Ruwanwelisaya is one of the most magnificent which was built by King Dutugemunu after he emerged victory at a battle with King Elara of India. 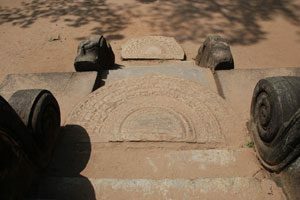 Thuparamaya, Lovamahapaya, Abhayagiri, Jetavanarama, Mirisaveti, Lankarama and Isurumuniya are some of the highlights not to be missed when visiting Anuradhapura. 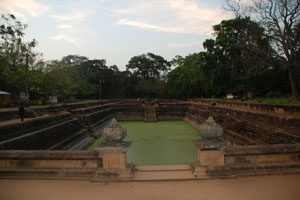 Among the finest creations of Anuradhapura is Samadhi Statue and the Twin Ponds.